The newest member of the Scorpion Vector Network Measurement System (VNMS) family, the MS462xD adds 4-port balanced/differential measurement features to the already versatile measurement portfolio. In comparison, the pioneering MS462xB provides similar performance and functionality for 2-port and 3-port applications. 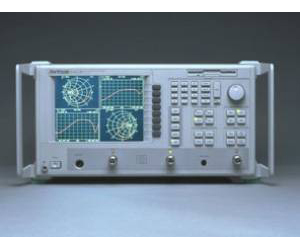 Available in the frequency ranges of 10 MHz to 9 GHz (or 3 or 6 GHz), these powerful and versatile models provides accurate measurements for most wireless components including surface acoustic wave (SAW) filters, amplifiers, and mixers. The following table summarizes the latest new features.